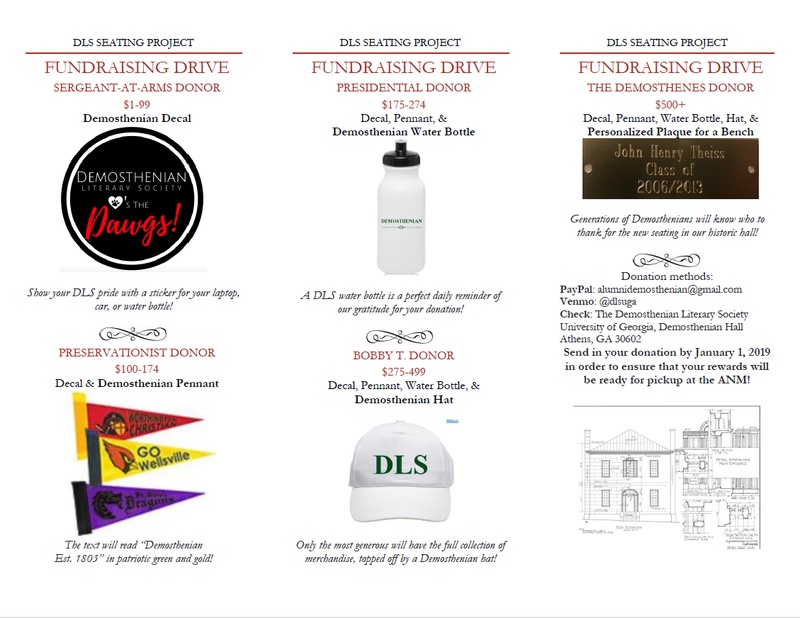 The Demosthenian Literary Society undertakes numerous projects to maintain Demosthenian Hall. 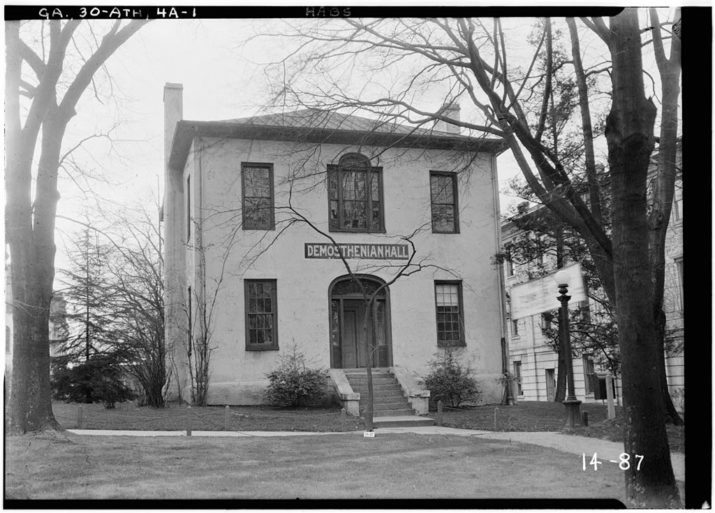 Built in 1824, the Hall stands in excellent condition, however, as a nearly 200-year-old building, requires constant renovations and updates. 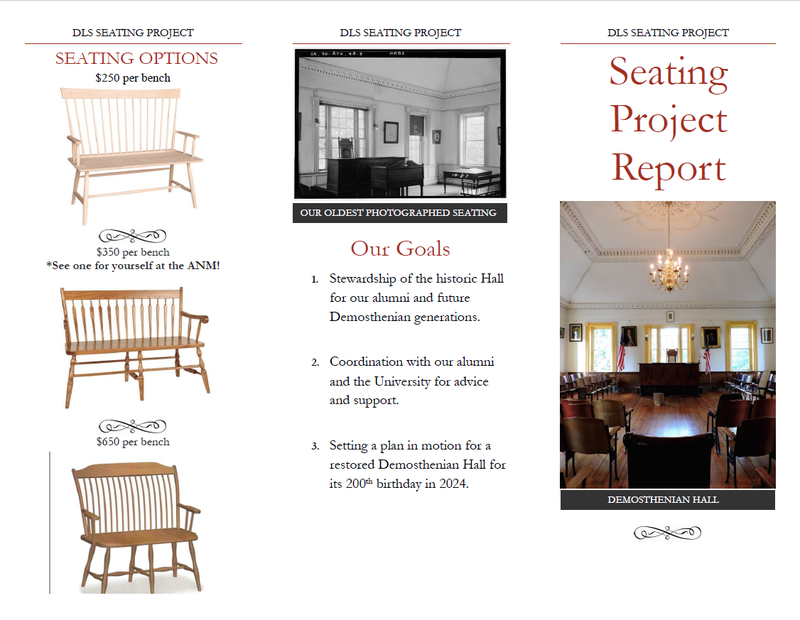 The current projects with the highest priority are the replacement of the seating in the upper chamber, along with the development of a bi-decade renovation plan of the Hall. The most immediate goal is to install historically accurate seating in the upper chamber that more closely matches the seating we have on record as being present earlier in the days of DLS. This effort will be the first in a series of campaigns to restore the Hall to a more pristine and historically accurate state. 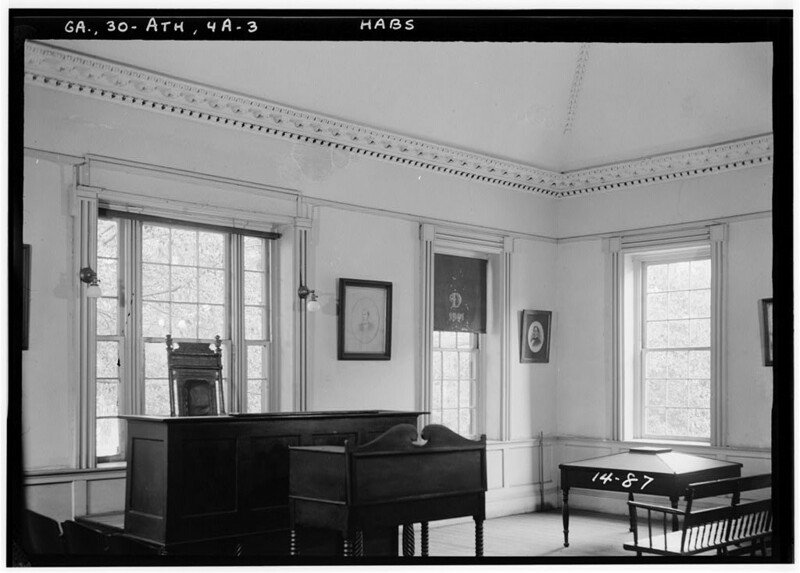 While the Hall has a plethora of architectural and historical features, such as the ceiling medallion in the upper chamber, the seating is the most critical to helping the Society fulfill its original goal: to cultivate a correct mode of speaking. 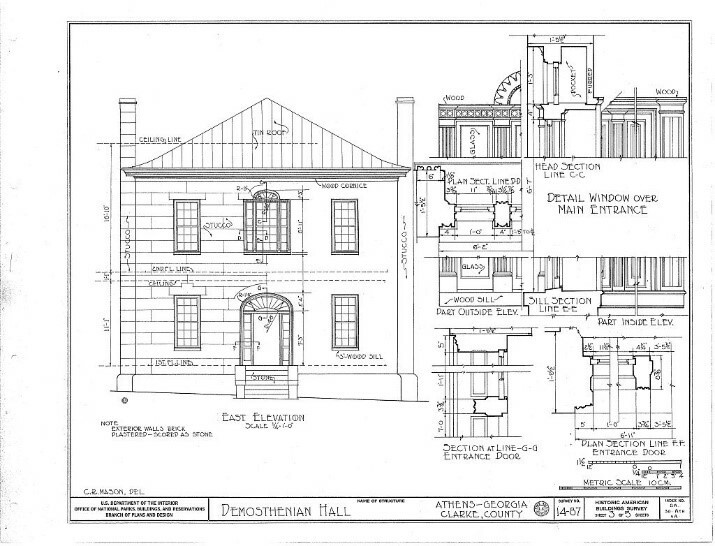 To this end, the plan is to install benches in place of the individual seating presently in the upper chamber. Several options are currently being weighed, and a final decision should be made by Spring of 2019.